You must make reservations at least 5 minutes in advance of the time at Morimoto New York. If you do not see reservation availability for the date or time that you prefer, call the restaurant directly for additional seating options in the lounge and at the chef's counter. A, C, E at 14th Street. L at 8th Ave.
Morimoto is the New York City interpretation of Executive Chef Masaharu Morimoto’s namesake Philadelphia restaurant that is co-owned with restaurateur Stephen Starr. Designed by world renowned architect Tadao Ando, the restaurant’s entrance features the world’s largest Japanese Noren curtain set against a massive façade of austere steel. Inside is an extraordinary open kitchen surrounded by a 24-seat sushi bar where diners can watch Morimoto and his chefs at work. On every level of the restaurant guests enjoy the elaborate menu where East meets West. Glass partitions create a private atmosphere between tables and a wall made of 17,000 spring water bottles add a touch of New York drama to this tranquil atmosphere. Guests have the option to dine on the top floor or congregate in the lower lounge for cocktails and snacks. I very much enjoy going to Morimoto. It’s location near Chelsea Market makes it a fun destination as a casual stroll through the market before or after is a great pastime. The restaurant offers upscale sushi served creatively and with real adoration for the art of Japanese cuisine. Decor is modern and though older is not tired. Our was a special occasion and it’s was handled magnificently. My only frustration is the restaurants use of a deposit system for reservations requiring you to type in card information to be held by them and then later calls you to confirm your reservation. I have found this to be annoying. It is only present when using open table. I have been to Morimoto multiples times. 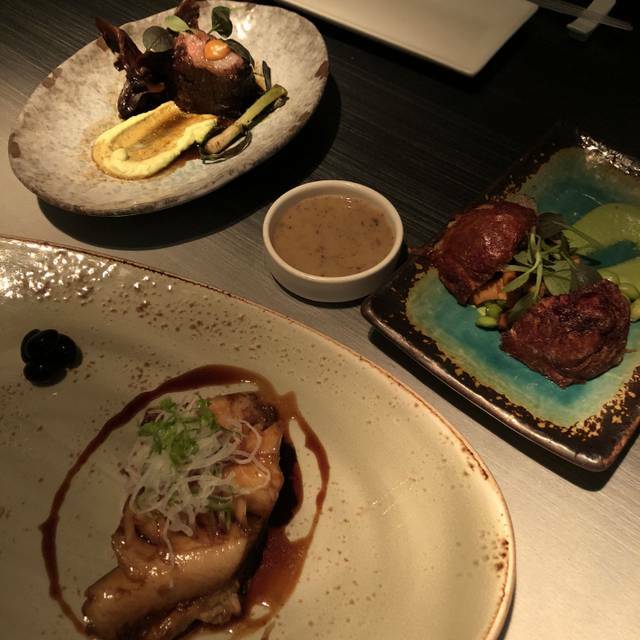 It is consistently a great restaurant with attentive service, fabulous sushi and other Japanese delectables with beautiful presentation. My only frustration is reservation practices. They ask for a credit card and then call to confirm. If you have taken my card there is no reason to call me to remind. It also suggests cancellations may be an issue which begs the question: Is it open table that has a problem or the restaurant. A simple punishment for cancelled reservations would suffice, no open table use for a serial cancellor for 4 mos. 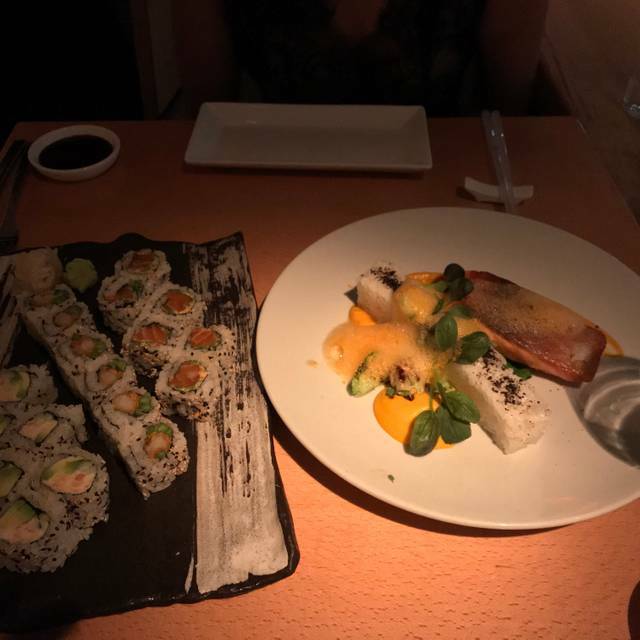 If you have a great occasion and want to dine in style and are craving Japanese of the world class variety Morimoto is a wonderful place to eat. Best of everything. Always enjoy great food and service. Spectacular service and great quality of food. They made me an item that wasn't even on the menu anymore. This is the BEST Restaurant I have ever visited! The service, atmosphere and food were phenomenal! Cannot wait to return on next trip! Visited this place for dinner for a 2nd year in a row and it does not disappoint. Food was very fresh and delicious (we opted out for sushi/sashimi/rolls and some yellowtail hamachi apptz). Service was not bad but not great for a restaurant of that caliber. Had to call on our server multiple times. Food took a while to come out but that was okay with us as we were not in a rush and enjoyed wine/sake while chatting and waiting on delicious food. The restaurant is nicely decorated and in a great area. Great for date, friends get together or a business dinner! Was disappointed. 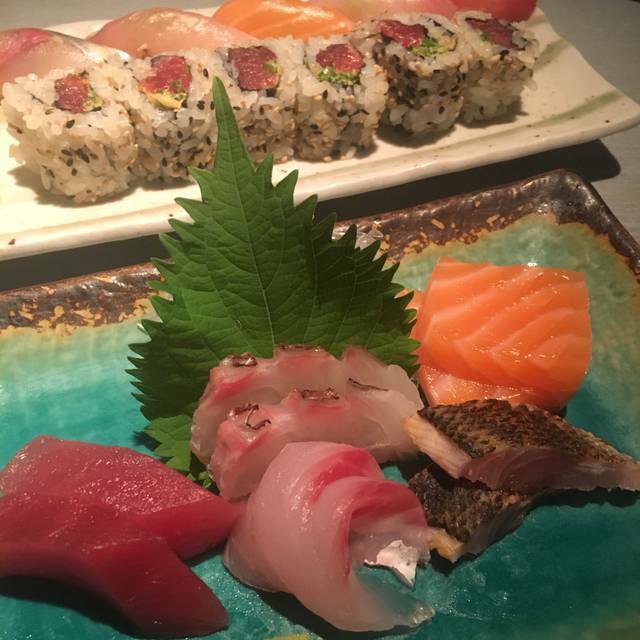 Have been to morimoto in las vegas and it was a much better experience. I did the omekaze and it was really disappointing, lacked creativity, and was rather bland. 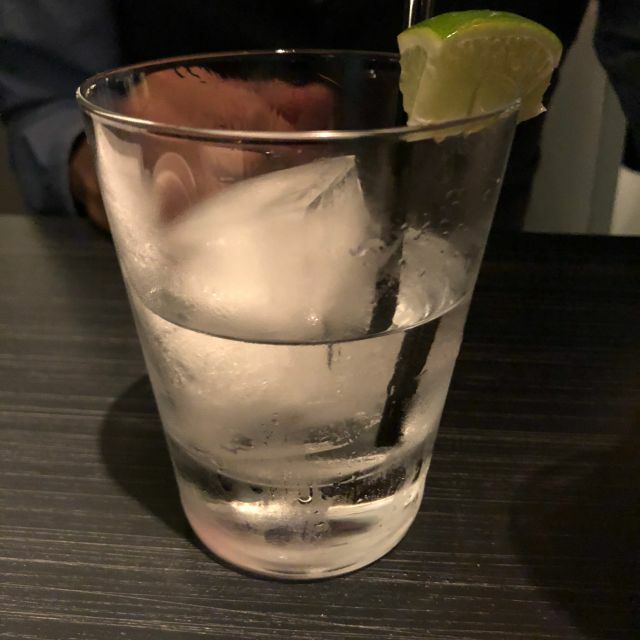 I wished I had ordered off of the menu instead. The service was really slow towards the end but this is also when the restaurant had cleared out a lot. Overall would not go back, sadly. Morimoto has been one of my fave celebrity chefs so disappointed to say that. Great for a special occasion. I brought my friend here for his 40th birthday. The service was impeccable from the moment we walked in. The food was so fresh and delicious and everything was explained as it came to the table. The whole meal was amazing. I expected the prices to be a bit high but for an occasion such as this, it was worth it! I had the omakase with sake pairing, which has changed a bit (improved, I think) from my last visit a few years ago. The chawan mushi course is now something that deserves the name (last time it was only an attractive abstraction), and the dessert course is terrific (and I'm not even a fan of Japanese dessert courses). Service is attentive, though because it is spread over several servers in random ways, it has continuity issues. Ambience is a bit sterile (music was distracting at times) but the food makes up for it. Great bathrooms! My fiancé and I ordered the Omakase eight course tasting and enjoy every single course. The ambiance is great but can be a little dark in some places. I definitely recommend this restaurant. Looking forward to going back again! It’s was our anniversary and it was a very special dining experience! Never disappointed. We continue to try new items every time we are there. Exceptional food and service!! As always, such a great meal at Morimoto! When I'm in NY, I always plan a dinner there and love taking people their for their first time. Just delicious and creative! Very appealing atmosphere, but the price to food quality ratio did not match up. My parents came to visit me this weekend from out of town. My father was in the mood for sushi and is super particular about his sashimi. We ordered the mushroom hot pot to split amongst the three of us and it was delightful. We followed that up with each of us ordering a roll and some sashimi. 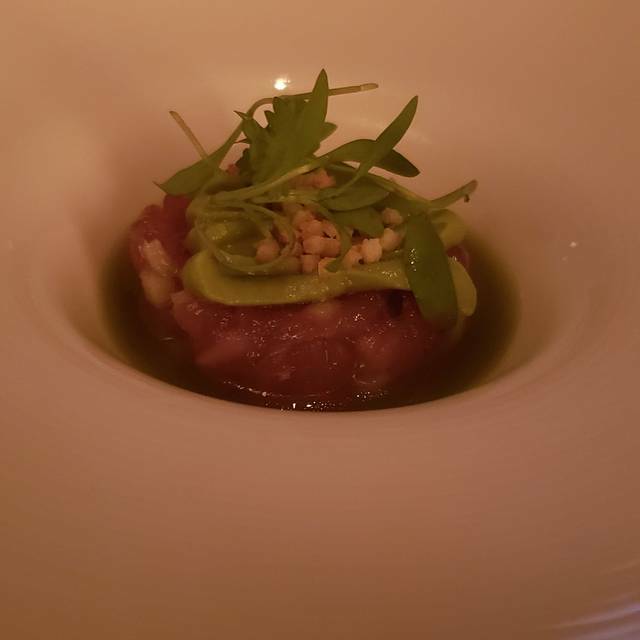 This was the best tuna sashimi I have ever had. My dad even said that it’s as good or even better than any sashimi he has had back home in Seattle. 10/10 I would go back. 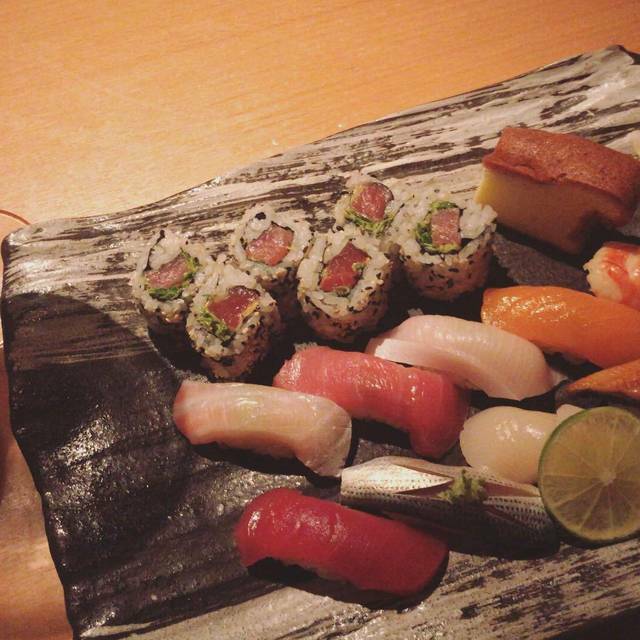 It’s the perfect place to take people who are visiting the city and want incredible sushi. Morimoto is an amazing experience. The design of the restaurant itself is beautiful. Very sleek, modern, and set up well. Our server was super helpful in explaining the menu and also with answering any questions we had about specific items. I decided to get the omakase. I’ve had an omakase before at a traditional sushi restaurant, but Morimoto’s version was very different. I really enjoyed that this omakase had more than just sushi. The inclusion of the delicious sashimi salad that I had and the perfectly cooked steak, made the experience wonderful. I would recommend Morimoto to anyone traveling to New York or wandering through Chelsea. Service was excellent! Perfect night. The food was prompt and delicious. The Japanese shortcake with the pomegranate sorbet and white chocolate mousse was unbelievable. 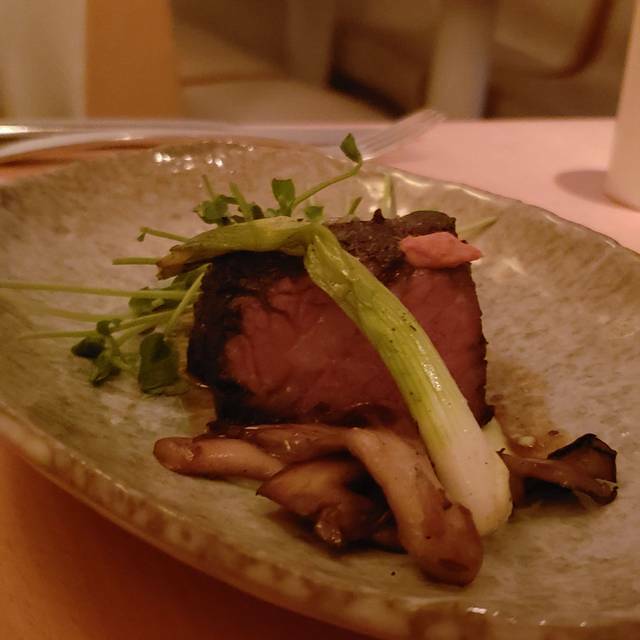 For a special night, the Omakase tasting menu was an incredible dining experience. We had the sake pairing and it was lovely. Every course was different and exciting. Always delicious. Usually order the tasting menu, but ordered off the regular menu this time. had was not great. Food is pretty good and the whole experience would have been better if the waiter had been stellar. He was awful. Absolutely incredible service. Even better than the delicious food. Would go back just for the service. 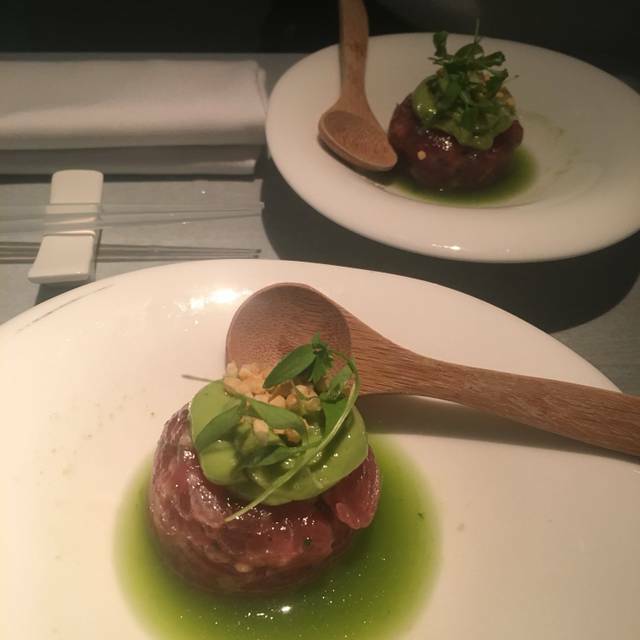 It was overall a fantastic experience, from the sushi to the wagyu beef everything was amazing. Also recommend the Hanibi Dama for desert, beautiful presentation and tasted even better. Coming back to Morimoto very soon. Also, Sunny was a great waitor! Great birthday dinner for two ! Where you want some extravagance but don’t want leave with a 400 dollar bill ! It was just a touristic crowd. Too much noise. The lighting and surrounding was too white, no ambiance. The sushi was too loosely wrapped. I feel the food was better several years ago. The non sushi dishes, like the Steaks. Family of 4 enjoyed a lovely dinner with amazing food, outstanding presentation, excellent service. Really can’t get any better than this place for a delicious seafood dinner. 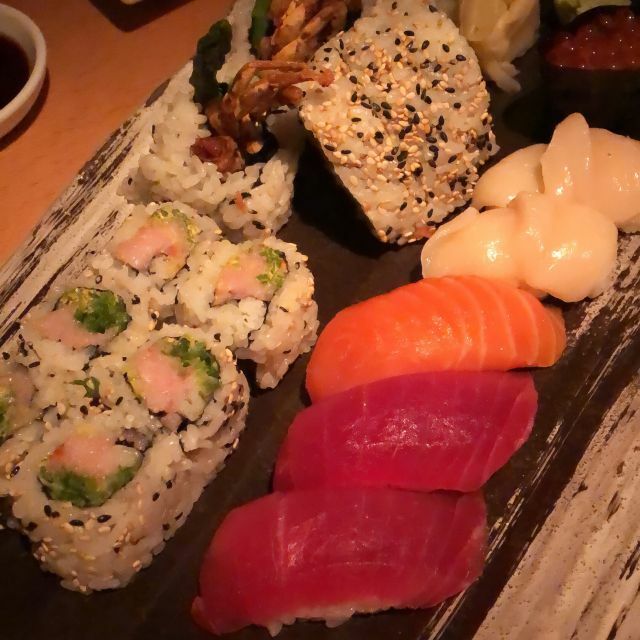 We enjoyed shrimp and octopus appetizers, freshest sushi, veggie maki rolls and the best sea bass I have ever had in my life.